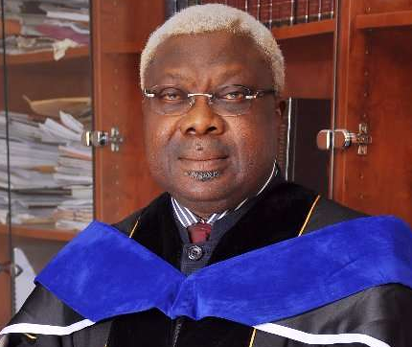 AKUREâ€”THE pan-Yoruba socio-political organisation, Afenifere, yesterday, suspended the Osun State governorship candidate of the Social Democratic Party, SDP, Senator Iyiola Omisore, for violating its directive not to team up with the All Progressives Congress, APC, during the Osun re-run governorship election. But in a swift reaction, Senator Omisore hit back saying SDP members are not affiliates of Afenifere. After a stormy session on the issue, the group axed the SDP governorship candidate for embarrassing the group by joining forces with the APC in the re-run governorship election in Osun State. Recall that the SDP National Chairman, Chief Olu Falae had equally disowned the partyâ€™s governorship candidate for not carrying the party along before selling out to the APC in Osun state. Meanwhile, Afenifere in its communiquÃ© entitled: â€˜This State of Anomie Canâ€™t Go Onâ€™, read by Mr. Korede Duyile condemned â€œthe extreme and barbaric use of force against members of Islamic Movement of Nigeria, IMN, in Abuja in the past few days coming to head with killings of unidentified members of the sect by a combined team of Police and soldiers in the federal capital. On President Muhammadu Buhariâ€™s certificate scandal, Afenifere said: â€œWe believe that this controversy touches at the core of the moral fibre of our country not necessarily because the President may not be qualified to contest based on the ridiculous provisions of the Abacha -made constitution of Nigeria which makes leadership the only job for which serious preparation is not required but because a good standard is not set for the society and especially our young people by the following unfortunate developments. Reacting to his suspension, Omisore said SDP members are not affiliates of Afenifere. He said he had not been informed of the decision by Afenifere but maintained that he acted in line with the resolution passed by SDP. His words: â€œActing at variance? Osun SDP passed a resolution to coalesce with APC. Osun SDP members are not affiliates of Afenifere. Politics is local, so I acted in consonance with the position and will of Osun SDP. â€œIâ€™m yet to be informed, if so, Afenifere bypassed principle of fair hearing.